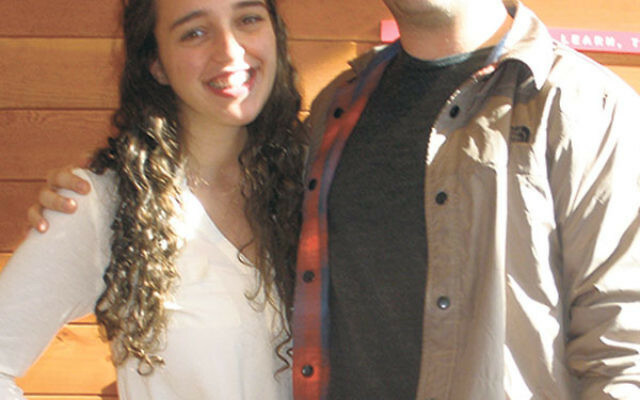 Rutgers J Street U founders Thomas Krapin and Samantha Glass were among the coauthors of an op-ed calling on Hillel executive director Andrew Getraer to apologize for his “Islamophobic” remarks. An op-ed in Rutgers’ student newspaper demanding an apology from Rutgers Hillel executive director Andrew Getraer for “Islamophobic remarks” leaked from a Twitter exchange last year has been labeled as “false charges” by Hillel’s board and Getraer. The op-ed, which appeared in the March 8 Daily Targum, was authored by four students affiliated with Rutgers J Street U, the campus branch of the “pro-Israel, pro-peace, pro-Palestinian” group. In the statement, the Hillel board affirmed its support of Getraer, whose work it said, “reflects precious Jewish and Hillel values, [including] social justice and the nurturing of interfaith relations.” It asserted he is an asset to both the Jewish and Rutgers communities. In a phone interview, Getraer said he has always encouraged Muslim-Jewish interfaith programs and has often taken stands to support the Muslim community. “I would argue actions speak louder than libelous words, and the slander made up by an anti-Israel activist now being perpetuated by other folks who don’t know enough and whose views are accepted uncritically by students who don’t know the fuller picture,” said Getraer. “These Islamophobic comments are not in line with our Jewish values, but because of the positions Andrew Getraer and Rutgers Hillel hold, these words have unfortunately come to represent all of the Jewish community here at our school in the minds of many people on and off-campus,” they wrote. Glass and Krapin met with NJJN on Rutgers’ Livingston Campus in Piscataway. They said J Street U has been shunned by Muslim groups who don’t want to engage with them because of Getraer’s refusal to apologize. The two also claimed J Street U has been shunted aside by Hillel and that Getraer has blocked efforts to integrate the group into Hillel for fear of upsetting donors. The students also said a phony Rutgers J Street U website, with an anti-Israel message they don’t support, was put up by someone they believe to be a Hillel alumnus; it has since been taken down. Krapin, a junior from El Paso, Tex., said, “If [Getraer] doesn’t apologize, this will have ruined my college experience. We no longer feel comfortable at Hillel. For him to say these things and not apologize affects our goal to create that safe space” for discussions about Israel and Palestine. Glass said Rutgers J Street U has about 20 regular members. 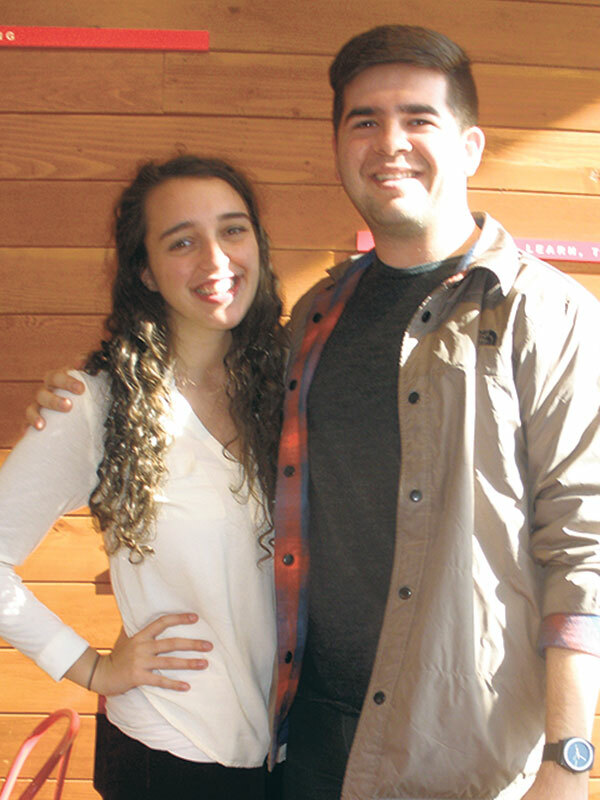 She was secretary of Hillel last year and said she “definitely loves Hillel.” Both said they often attend its Shabbat dinners and insisted they want to continue being active. The “so-called ‘Islamophobic’ characterization” resulted from the private Twitter exchange between Getraer and “Ido Shapiro,” who had contacted Getraer “to ostensibly learn more about Israeli-Palestinian relations,” said the statement. Some of the Twitter exchange is reproduced as part of an article that Jilani posted to the website alternet.org. Parts of the exchange go back to December 2014 and continue through January. Getraer, while not commenting directly on the reproduced tweets, denied the incident had hampered interfaith relations on campus. Glass said if the tweets were misinterpreted, Getraer should own up to it.